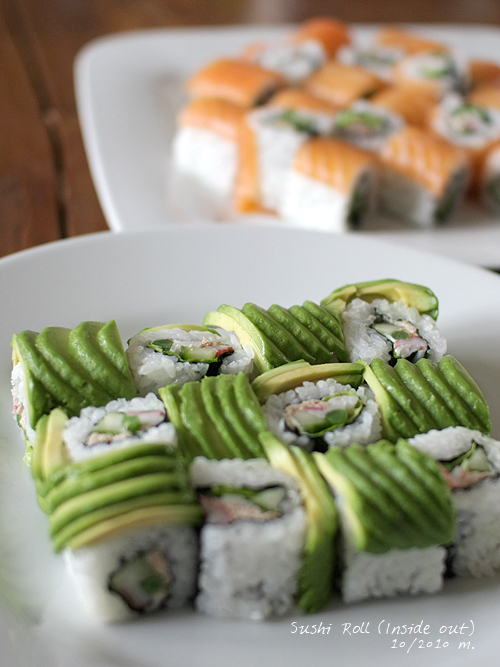 See the detail of how to make Sushi Roll (Hosomaki), especially 1~6). Place the cling film on the sushi mattress. Roll under the mattress to fix. Place the halved nori rough side up on the sushi mattress. Moistened with vinegar in a small bowl and make a 100g rice ball. 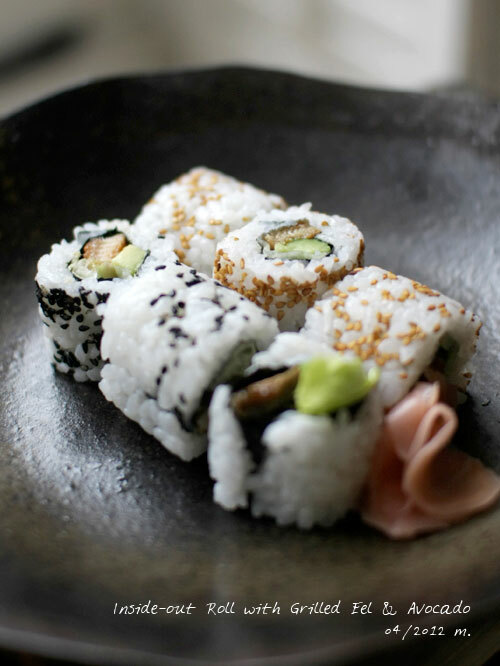 Hold the rice ball with your right hand, divide into 3 onto the nori pushing slightly with your left hand. Spread but not squash the rice evenly except beyond 1cm from the far edge. Moistened your finger with vinegar, if you need. Sprinkle with sesame seeds to make sesame roll. Hold the upper edge of nori and turn upside down. Place your favorite ingredients in the middle, slightly on your side, of the rice. Arrange the edge of the rice and bamboo mattress on the same line. Place the halved nori rough side up on the sushi mattress. Moist your hands with vinegar and water in a small bowl and make a 100g rice ball. Spread but not squash the rice evenly except beyond 1cm from the far edge. Moist your finger with vinegar and water bowl, if you need. Sprinkle with the sesame seeds. Hold the upper edge of nori and turn upside down. Place the lettuce, eel and avocado in the middle, slightly on your side, of the rice. Add the mayonnaise on the avocado if you like. Arrange the edge of the rice and bamboo mattress on the same line. Raise the edge of all including the bamboo mattress. Roll it holding the ingredients. Cut into 6 or 8 with knife including the cling film. Every time you cut moist your knife as you can cut smoothly then remove the cling film. 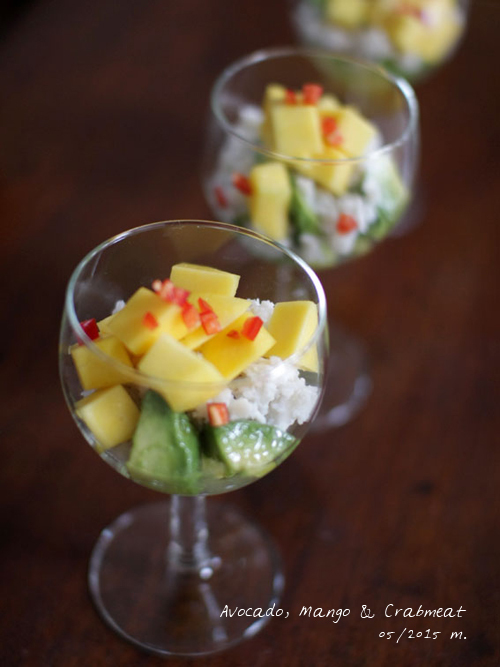 Serve with soy sauce and wasabi, if you want, in a small dish.